Adults have problems deciphering truth from falsehoods as information is twisted and changed to compete with different ideologies and competing voices. How much more do our students need to be skilled in discerning truth from fabricated or twisted information. This is where information literacy skills need to be embedded into all aspects of the curriculum and practice given under guidance. It is the role of the Teacher Librarian to assist in this. 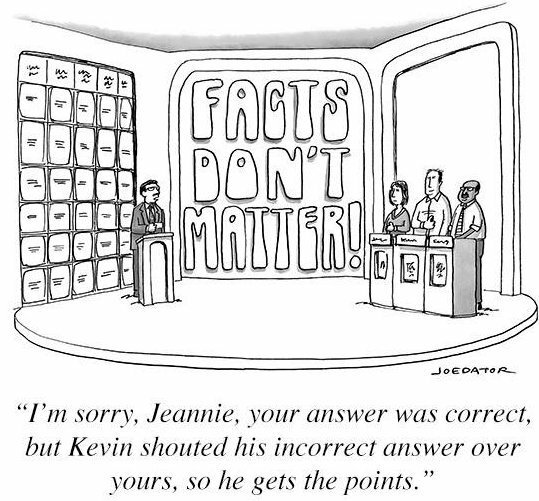 This New Yorker Cartoon by @JoeDator says it all! This entry was posted in Digital Literacy, Information Literacy, Teaching & Learning and tagged Information Literacy. Bookmark the permalink.